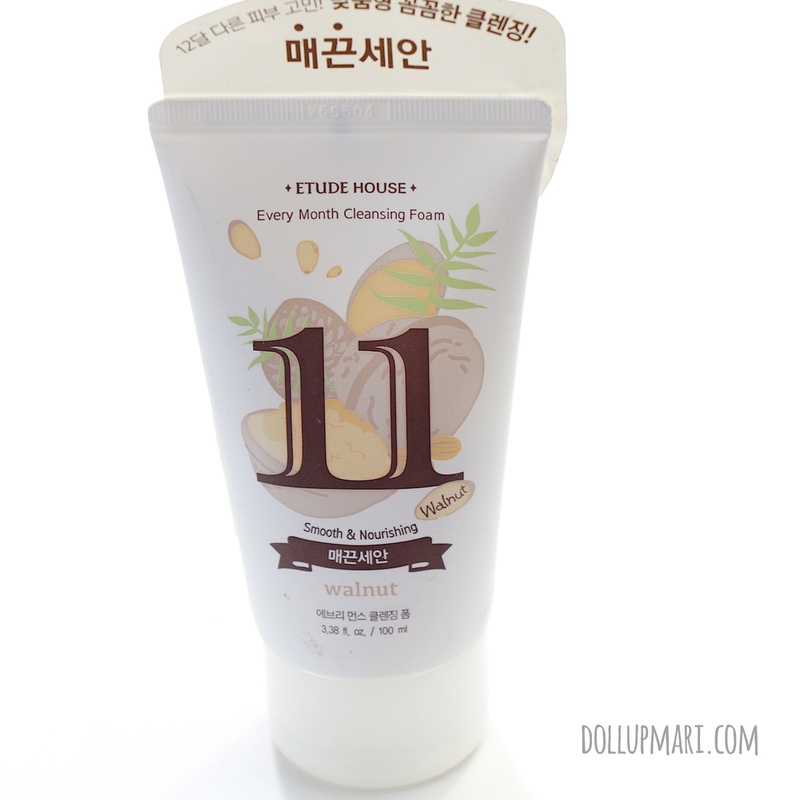 And I am back with another one of Etude House's Every Month cleansing foams! Last time I did a review it was for number 6, or tea tree. 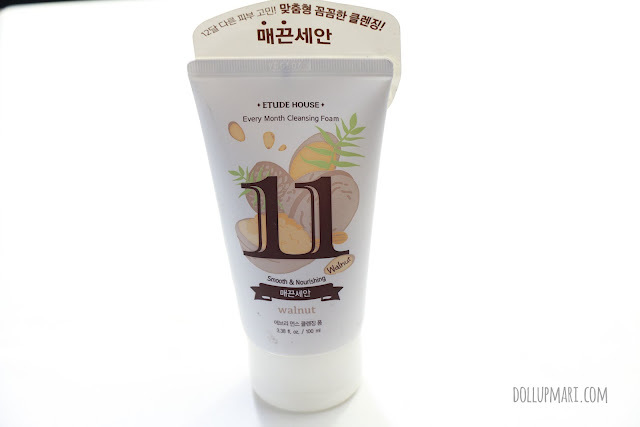 But this time, this is number 11, or Walnut fragrance. 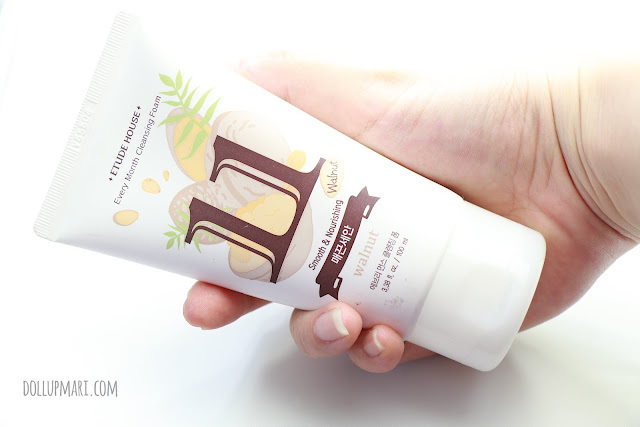 The product is a relatively short and stout tube. I really like that this product line became a mainstay because it's really good. 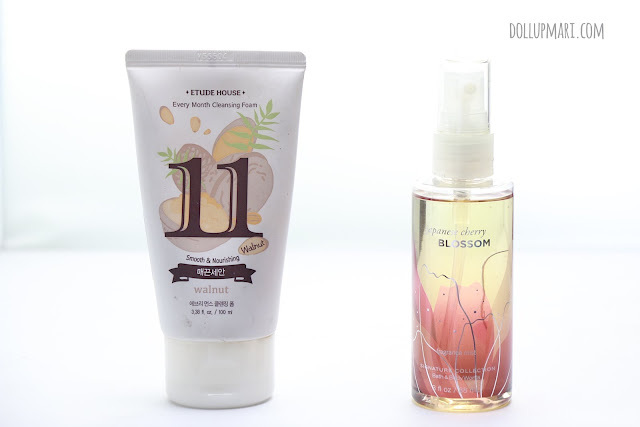 Etude House has a lot of product launches every year, and I think it gets to the point that there are new products every month. Of course, when you roll out products every month, you also have to pull out products lest your store will be too confusing to consumers. This tube is 100mL. It may sound small, but I've been using my #6 one for like four months now and I still haven't used it up. For the curious folks, here are the inggredients. 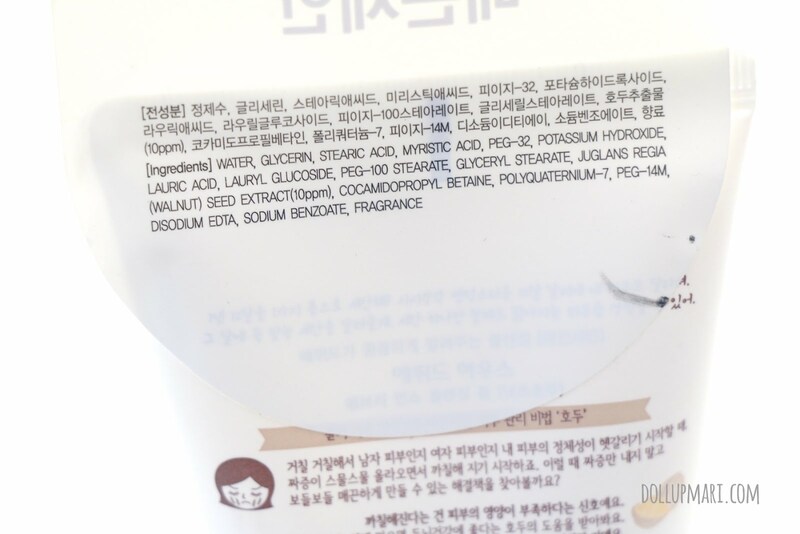 It has sodium benzoate as preservative. 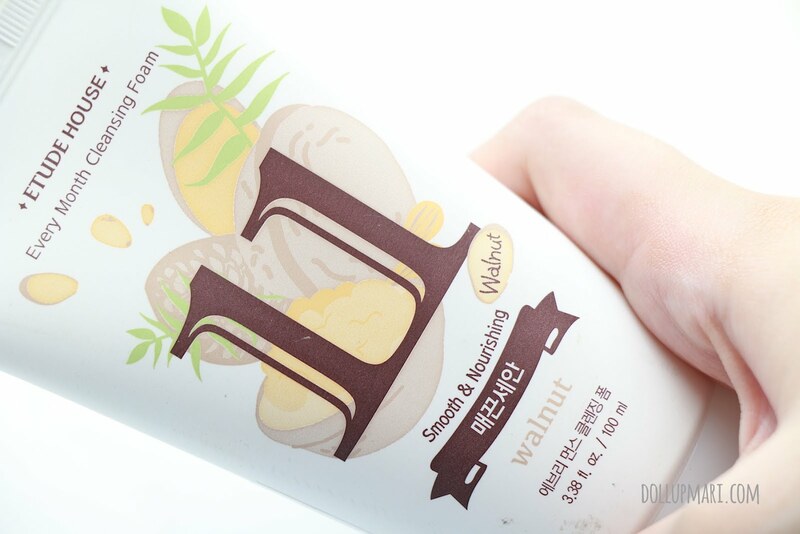 The product promises that it will make the skin shiny and healthy with its walnut and nourish uneven skin. 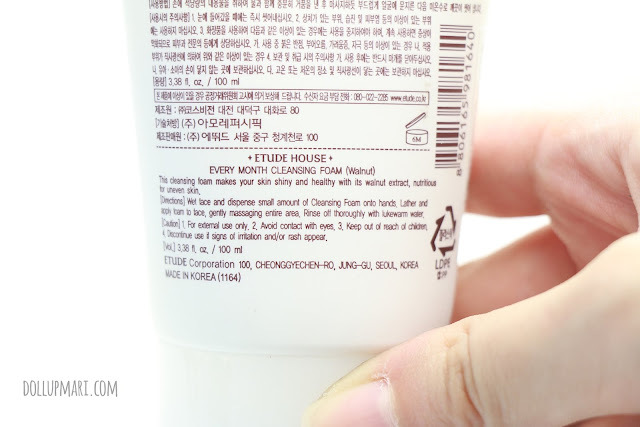 This product comes with a safety seal, so beware of the people who'll sell you this product because if there's no safety seal, it means they've already used it. What comes out is a very creamy foam. It's got a pearly white color, and is very thick in texture. 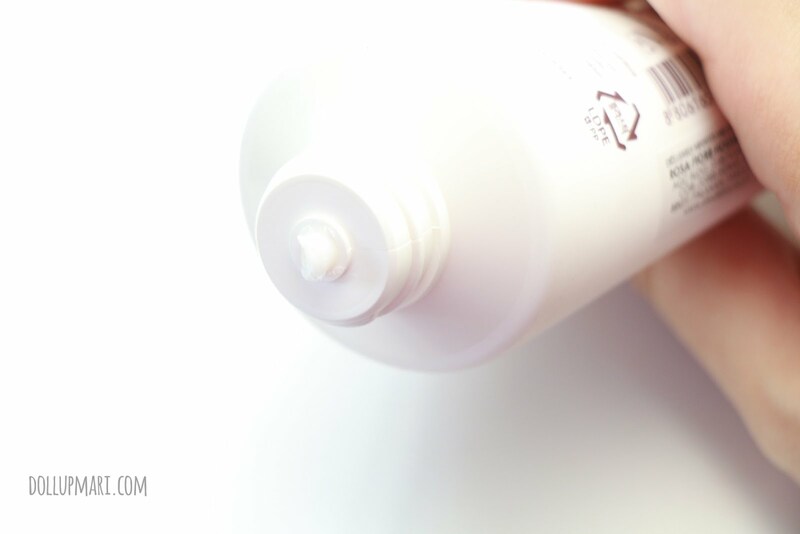 It lathers very, very well. I really love that when they say foam, they really mean foam. This photo doesn't actually really show how foamy it is as I couldn't wet my face a lot while taking photos as my remote would get wet, but whenever I use it with enough water, it lathers very richly. 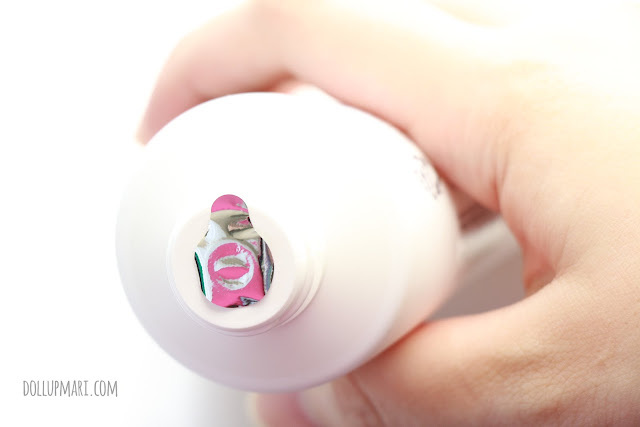 And amusingly, one of the things I noticed about it is that it smells a lot like the mild version of Bath and Body work's Japanese Cherry Blossom fragrance. It smells very sweet and nutty, and I get really happy whenever I use this product because it smells so nice. Hi.. i dont know will you see this but i do hope to get a reply! <3 I love this cleansing foam line but since theyre discontinued, may i know whether the baking powder cleanser is the same formula as this one? I really want to use the same type of cleansing foam again T.T Thank youu! It's not the same. It's the same kind of foaminess and lather for both, but baking powder line really has baking powder in the formula so it has some grit to it. If you really want a soft foam then it would be this. ahhh.. when you say grit, it alarms me that it may be drying (or do you mean granules?). which do u personally like better tho? :) oh and thanks for responding!